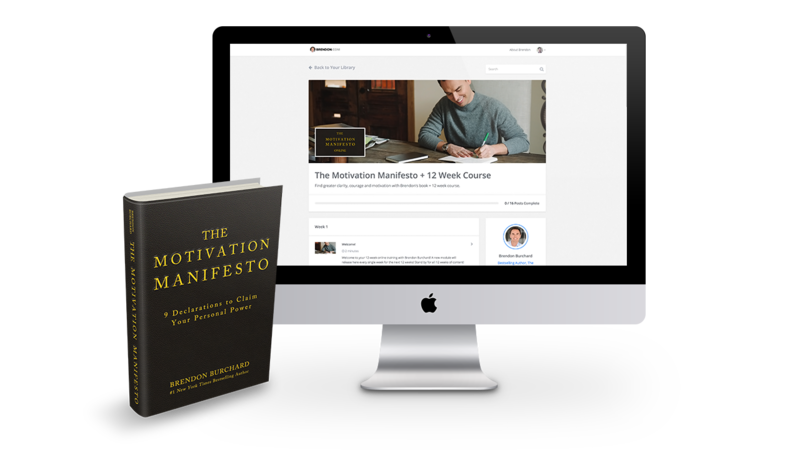 The Motivation Manifesto Free Book! Enter your SHIPPING ADDRESS (not your billing address) on this page. That's where we'll mail your book. Please note: Limited quantities available. Offer may close at any time. YES! I WANT EXTRA PRODUCTIVITY TOOLS, AN ONLINE ENERGY COURSE, AND THE DELUXE AUDIOBOOK! Check the box and we'll add all these extras to your order for just $19! I have read and agree to the Burchard Group terms, conditions, and event terms. When you submit information to us, The Burchard Group, we use it in an ongoing nature to ensure you receive the information or purchases you've made with us, to deliver relevant future content via our email newsletters, to track how much you use our sites or services, and to make future offers through our company or any other company that is involved in delivering your purchases, bonuses or content. By giving us your contact information now, you are granting us the right to contact you in the future in any manner necessary at our discretion for ongoing personal and professional development.